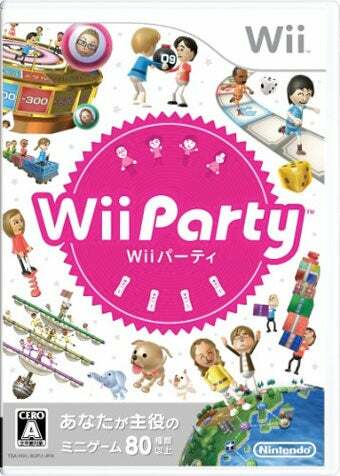 After taking a breather from dominating Japan's sales charts, Nintendo's Wii Party continues to party hard at the top of the list. Wii Party could be a great game, so why shouldn't it sell really well? Well, it didn't have much strong competition this week, with PSP role-playing game Fate/Extra coming closest to threatening Wii Party's first place finish. The rest of the stuff is purely Japanese fare, with the exception of Ninety Nine Nights II. It debuted unimpressively in 17th place. Not surprising for an Xbox 360 game, but surely not good news for publisher Konami. Games like the latest Inazuma Eleven, Fire Emblem and Super Mario Galaxy 2 continue to sell well overseas. To see how your favorite Japanese train simulator or portable game show performed, read on. These are the bestselling games in Japan, according to Media Create, for the week of July 19 to 25.